The view was the beach! The beacy was across the street. The kitchen was just right. Very comfortable. I stayed with my family for one night only. Perfect location with accessible parking. Amazing view of the Mediterranean Sea. Equipped kitchen. Good value for money. Nice staff. Rooms were nice and big. Cleaners came few times a week - changed beds and towels which was great. Lovely views - would stay again. It was a quiet location next to the beach. Lots of cafes and shopping nearby. The terrace over looking the water was where we spent most of our time! The whole place was roomy and quite comfortable. 2 bathrooms for 4 girls was a treat too! It was very spacious and had a beautiful wee bakery down below which we ate and drank out of every day, the balcony was massive and the apartment itself was very spacious. Everything else was wonderful , great sea front location . Lock in a great price for Vegasol Playa A.T – rated 8.5 by recent guests! 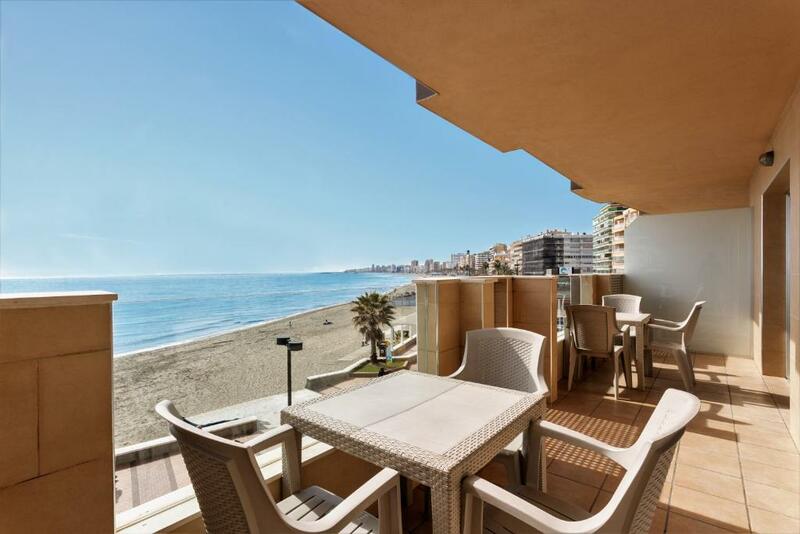 Vegasol Playa A.T This rating is a reflection of how the property compares to the industry standard when it comes to price, facilities and services available. It's based on a self-evaluation by the property. Use this rating to help choose your stay! 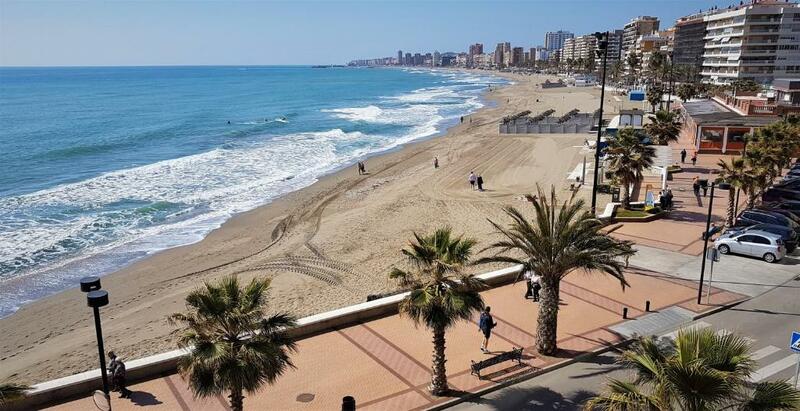 One of our top picks in Fuengirola.Vegasol-Playa is located on the beachfront in Fuengirola, 1.6 mi down the coast from the city center. It offers modern apartments with free Wi-Fi, a flat-screen TV and a private terrace. 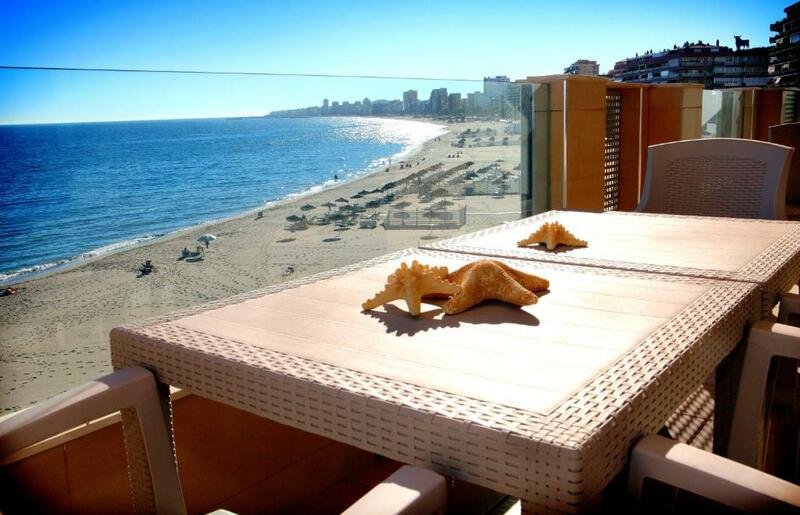 Most of the Vegasol-Playa apartments have full sea views and others offer side sea views. All apartments have a lounge-diner with a sofa, as well as a kitchen area with a dishwasher and washing machine. The flat-screen TV comes with Canal + satellite channels. There is air conditioning and a free safe. There are various shops and restaurants along the seafront near Vegasol-Playa, and there is a supermarket just 100 feet away. There are also bus and train connections within 1,650 feet. 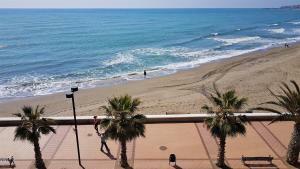 뀐 Located in the top-rated area in Fuengirola, this property has an excellent location score of 9.3! When would you like to stay at Vegasol Playa A.T? This air-conditioned apartment features a double bedroom and a lounge-diner with a sofa bed and a flat-screen TV. The kitchenette includes a hob, microwave and coffee maker. There is a hairdryer in the bathroom. It also has a private terrace with sea views. This air-conditioned apartment features a twin bedroom, a double bedroom and a lounge-diner with 2 sofa beds and a flat-screen TV. The kitchenette includes a hob, microwave and coffee maker. There is a hairdryer in the bathroom. It also has a private terrace with sea views. This air-conditioned apartment features a single bedroom, a twin bedroom, a double bedroom and a lounge-diner with 2 sofa beds and a flat-screen TV. The kitchenette includes a hob, microwave and coffee maker. There is a hairdryer in the bathroom. It also has a private terrace with sea views. This apartment features air conditioning, washing machine and microwave. Nuestros apartamentos destacan por ser prácticamente nuevos, ya que se construyeron en 2013 y por su proximidad a la playa. También cabe destacar el trato personal y familiar de nuestros empleados hacia los clientes. 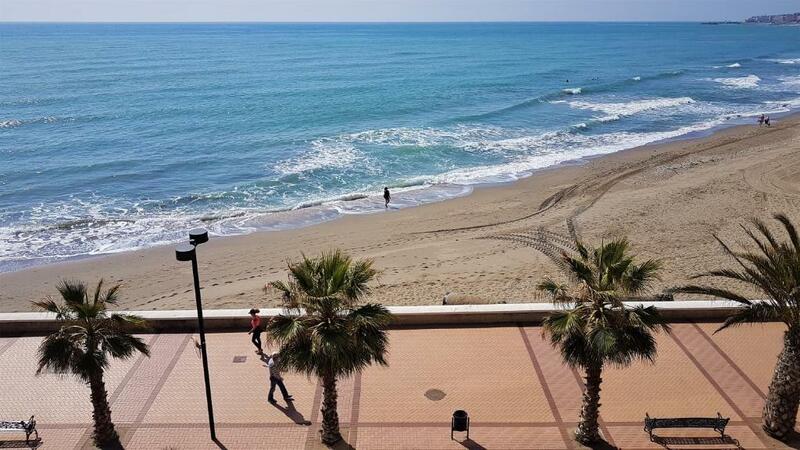 Practicar todo tipo de deportes y observar el mar desde el balcón de cualquier apartamento en Vegasol Playa. 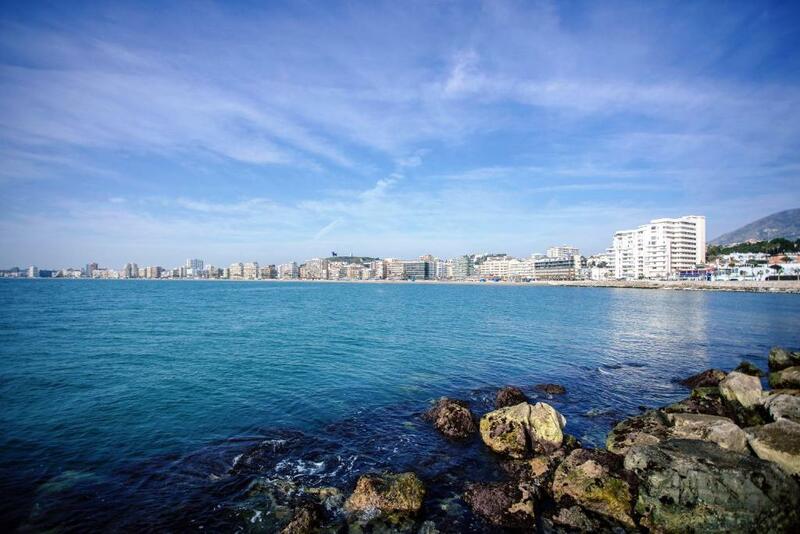 Fuengirola se asienta sobre una delgada franja litoral de 8 kilómetros en la que se suceden algunas de las mejores playas de la Costa del Sol. 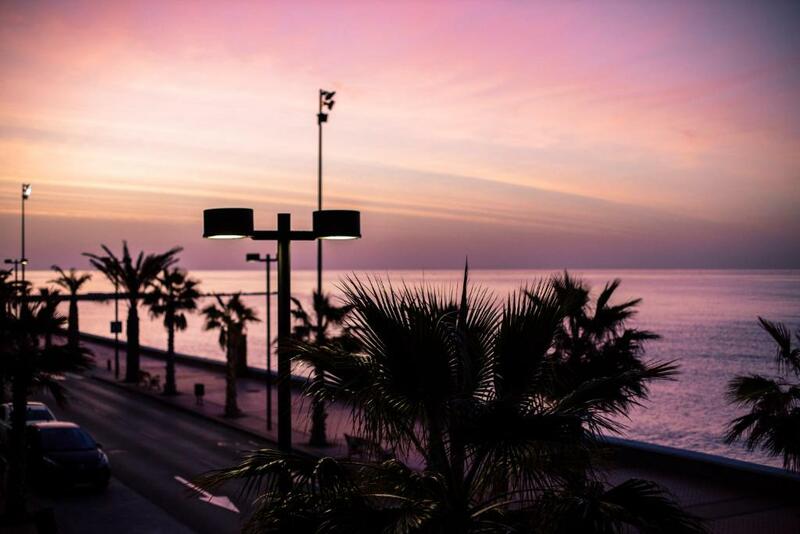 Los amantes del deporte disponen de un amplio abanico de posibilidades en Fuengirola. House Rules Vegasol Playa A.T takes special requests – add in the next step! Vegasol Playa A.T accepts these cards and reserves the right to temporarily hold an amount prior to arrival. Please note that apartments are cleaned weekly and cleaning will only be done for stays of 7 nights or more. The accommodations must be left clean or an additional cleaning fee will apply. Please inform Vegasol Playa A.T of your expected arrival time in advance. You can use the Special Requests box when booking, or contact the property directly using the contact details in your confirmation. The beds weren't very comfortable, we had two single beds and one was rock hard and very uncomfy. would have been good if they were both memory foam as there was a very comfy bed in the other room. Everything was OK ! I clean the appartement myself. Hope You appriciate . There was a lot of sand/dust on the balcon. I clean the windows etc, No problem. Thanks again. We had a beautiful holliday !!! The reception was very good . Also the key recieve etc.etc. Thank you very much. We will come back in september. Many regards from Franca and Detlef. great location and lovely guys on reception. fully equipped and very clean. excellent value for money (but we did stay in low season). views from balcony are great and just a short walk to bars/restaurants. Bit of a drain smell in the bathroom at certain times of day but very clean otherwise . Free internet was weak and lazy. Quite thin walls, esp. if you have noise neighbours. Great location with seaview. Well equipped apartment. Bakery downstairs. Friendly staff, esp. finnish speaking young gentleman. Little bit noisy, no glasses for wine, the wifi is weak. Location, on the beach, the view from the appartman to the see. Internet connection very poor and unreliable. No UK tv programmes, no cushions on sofa, only one mirror (in the bathroom). Drain smell in the bathroom. 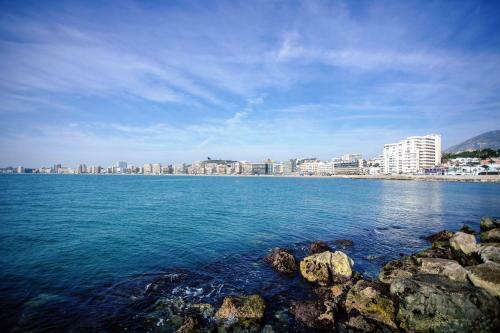 Great location and view, good sized apartment, clean and modern. Good aircon. Bed rather hard for my liking but sofa bed in lounge to use as an alternative. Initially, something in the toilet stinks without using them yet . But after flushing the toilet bowl several times- it was gone. Stuck water? Excellent location , wonderful views Very Clean.